Visual Studio LightSwitch developer Marden Rodrigues has agreed to share his sample code to show how he created the menu for his LightSwitch in Visual Studio 2012 application. The video that shows the application is here: http://screencast.com/t/2wVuj5lT. 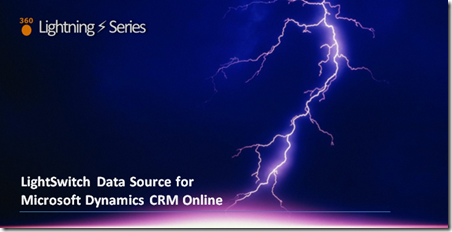 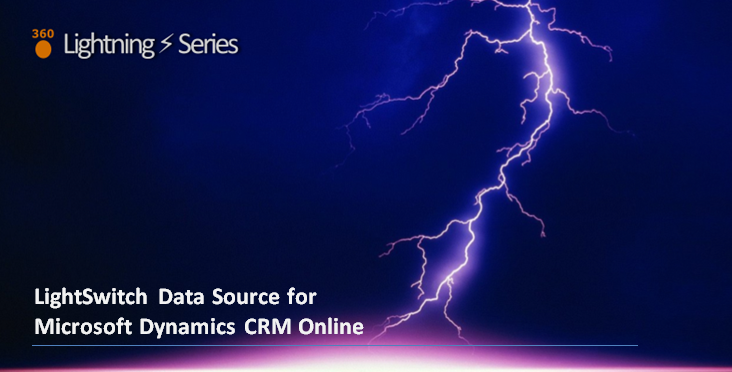 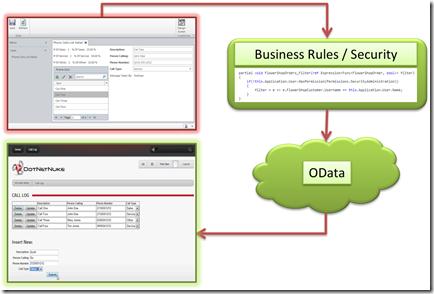 OData and LightSwitch Book Excerpt - Chapter 1: What Is This Book About? Visual Studio LightSwitch (In Visual Studio 11 Beta) allows you to access your LightSwitch application via OData. 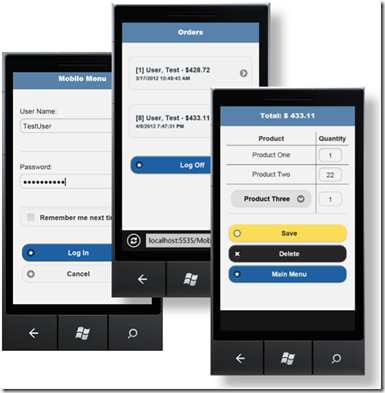 This provides access to the security and business rules of your LightSwitch application. 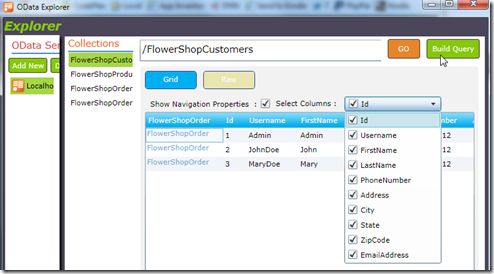 Visual Studio LightSwitch in Visual Studio 11 allows you to communicate directly with the LightSwitch business layer (business rules, custom code, security), though OData. 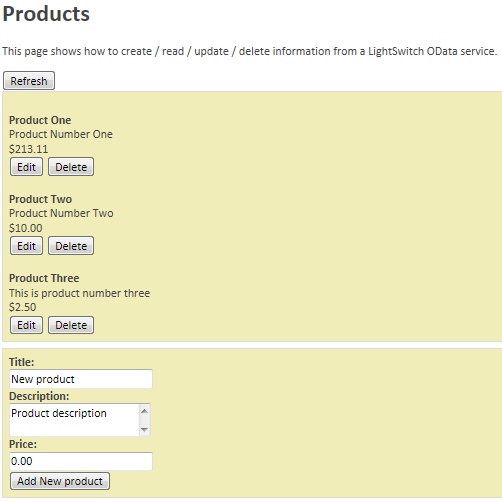 This allows you to use LightSwitch as the orchestrating control for any enterprise application or deployment. 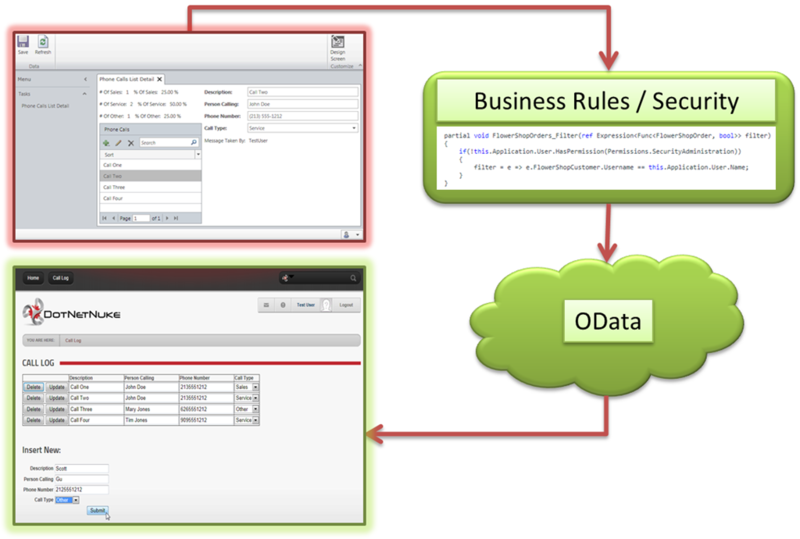 Consuming OData in Visual Studio LightSwitch in Visual Studio 2011 is very easy. 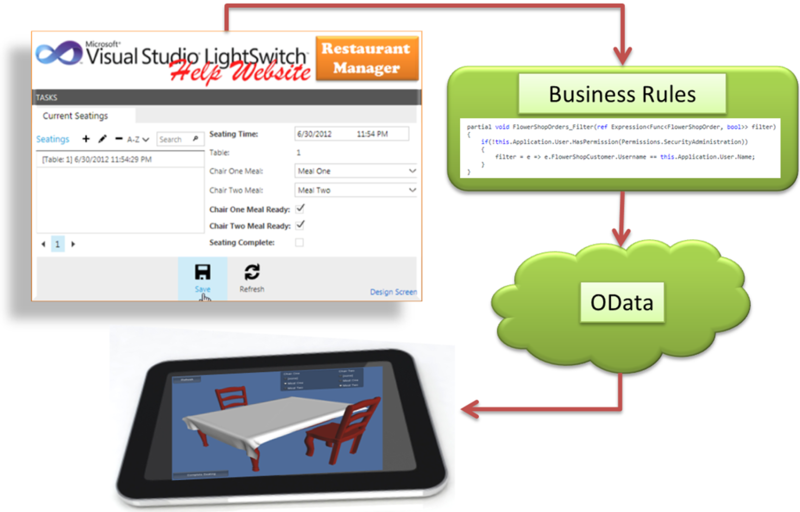 When you consume an OData service in LightSwitch, its Entities that you import behave like any other LightSwitch data source (such as Internal Entities, external SQL tables, and WCF RIA Services). 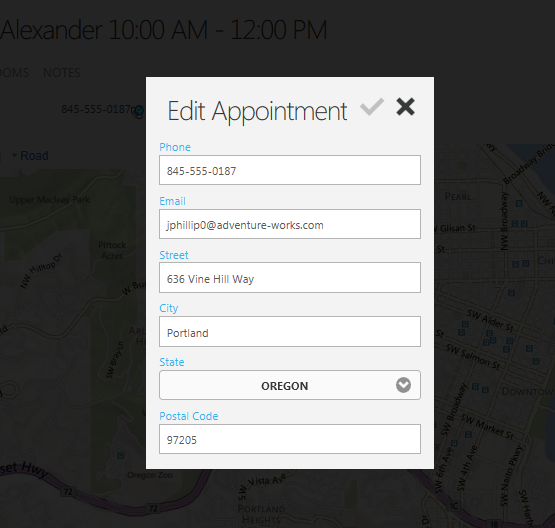 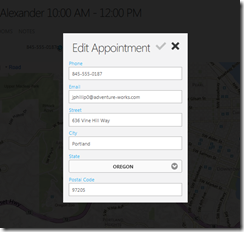 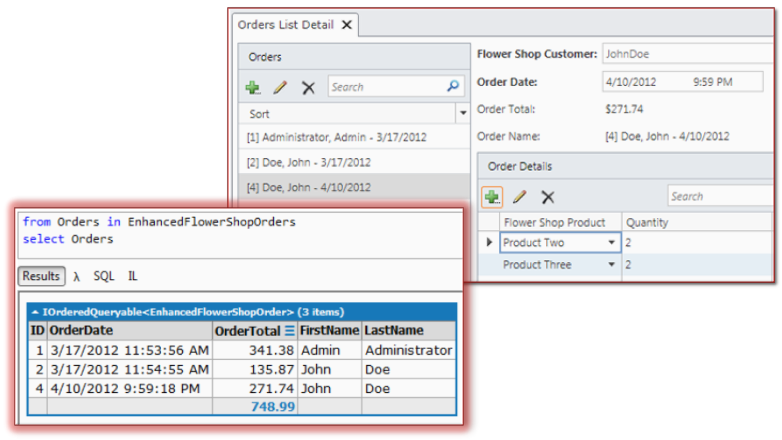 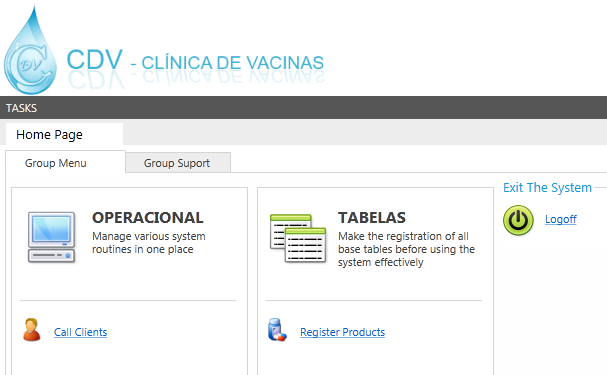 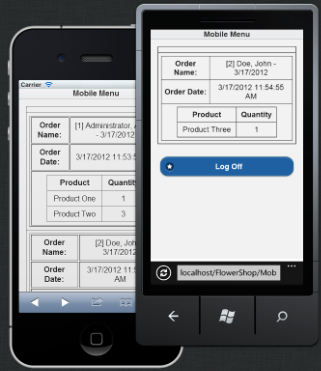 This allows you to easily create mash-ups where you combine different data sources to create an application. 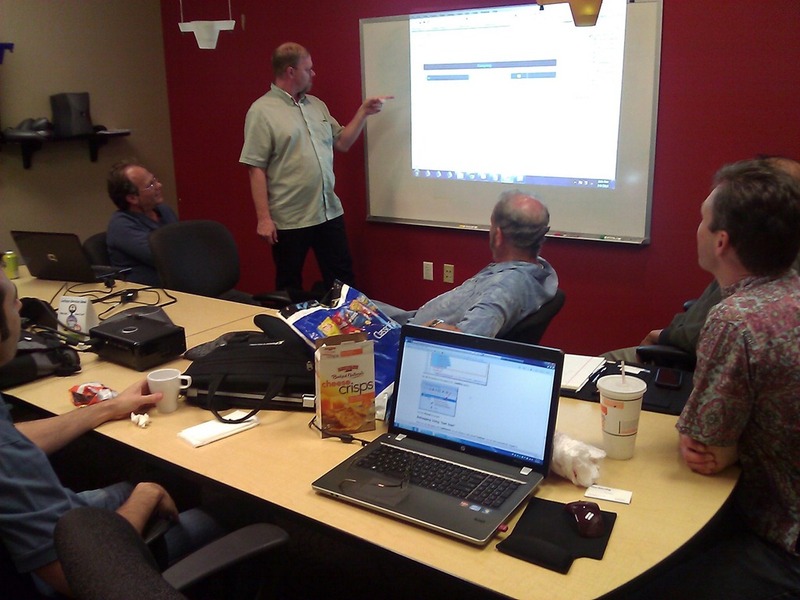 Read the full article at this link. 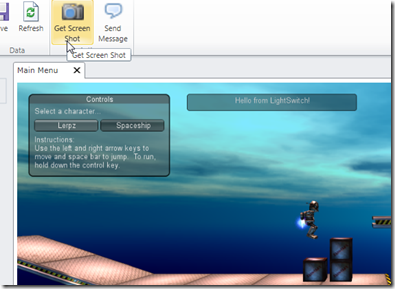 Visual Studio LightSwitch Beta in Visual Studio 2011, allows you to create applications that can communicate with LightSwitch using OData. 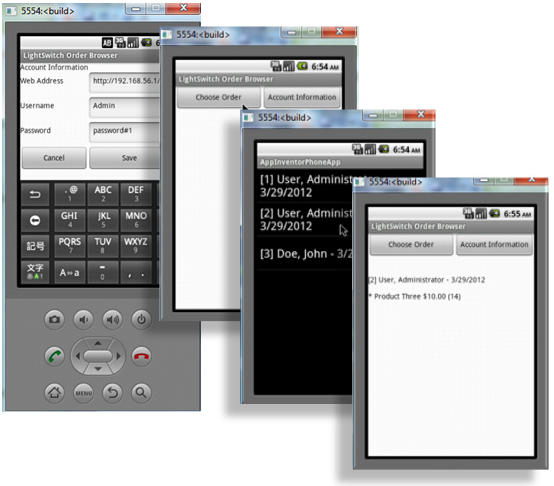 This allows you to create applications, such an Android mobile application, that communicate with the LightSwitch business layer. 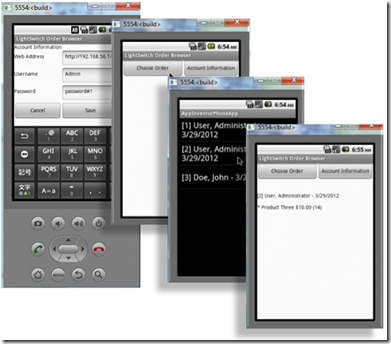 This provides access to the LightSwitch security and business rules. 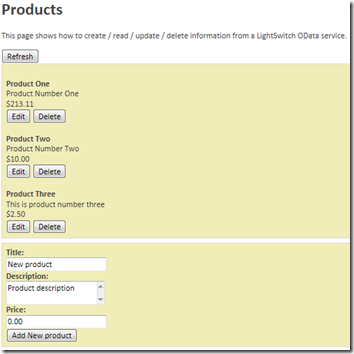 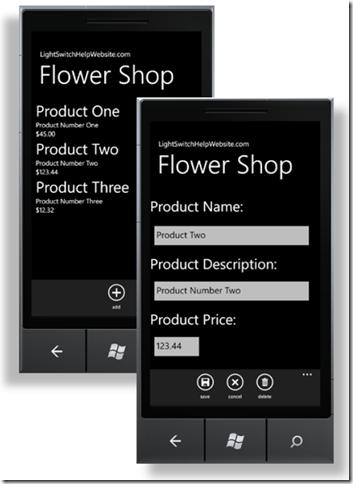 Visual Studio LightSwitch 2011 (In Visual Studio 11) allows you to access your LightSwitch application via OData. 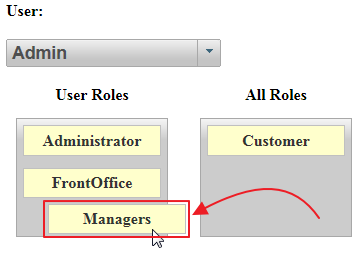 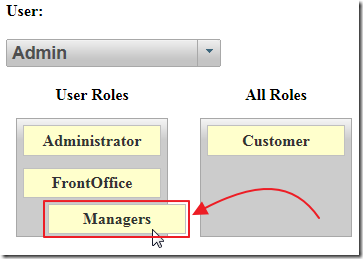 This allows you to access the business layer and security of your LightSwitch application. It also allows your LightSwitch application to communicate with web pages, mobile clients (IPad, Android, Windows Phone) and other clients such as Excel PowerPivot.